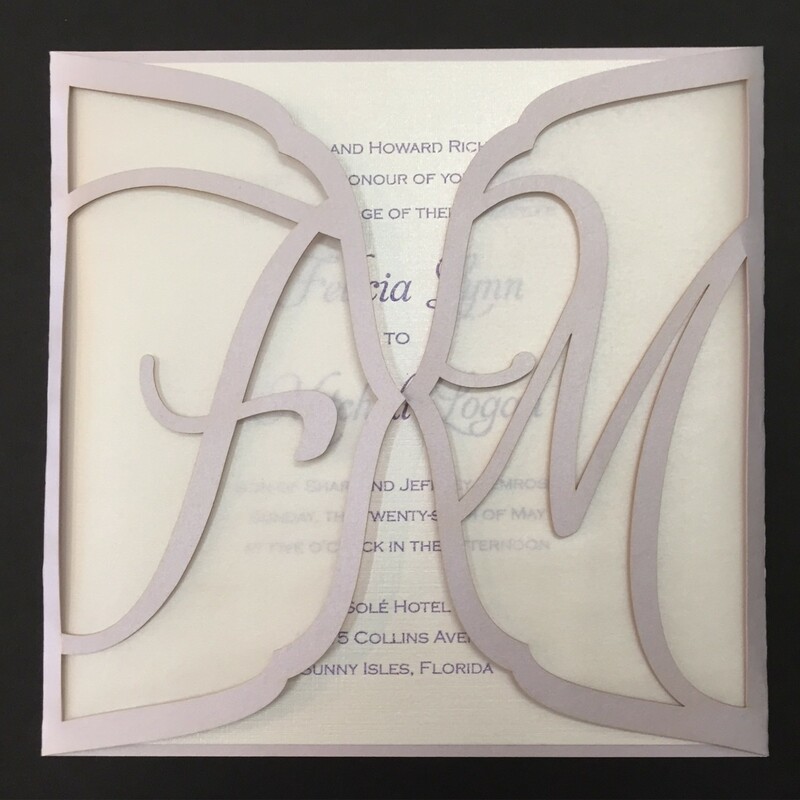 The Monogram Laser Cut Gate-Fold Invitation is also affectionately called “Felicia”. Named after the bride who's wedding it was designed for. The unique design features laser cut letters of the couples monogram to create the gate-fold invitation. A pearlized overlay parchment mutes the wording until opened to reveal the printed invitation. 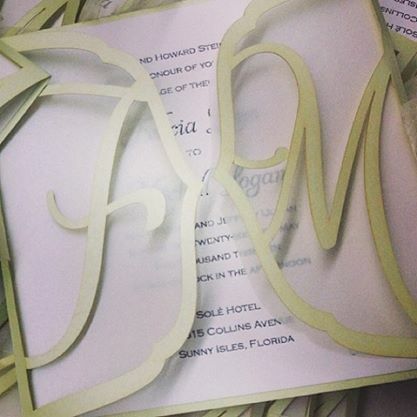 The Monogram Laser Cut Gate-Fold Invitation is also affectionately called "Felicia". Named after the bride who's wedding it was designed for. The unique design features laser cut letters of the couples monogram to create the gate-fold invitation. A pearlized overlay parchment mutes the wording until opened to reveal the printed invitation.